TIMESMALAYSIA, JAKARTA – The two latest Xiaomi and Honor smartphones are ready to launch in the Indonesian mobile market on Tuesday (11/06/2018). Namely: Honor 8X and Xiaomi Redmi Note 6 Pro are ready to compete in the smartphone market in the country. Both of these smartphones will compete in terms of the price offered. Reporting from Tabloid Pulsa, the Honor 8X is certainly present in Indonesia by pre-order with a price tag of IDR 3,999,000. By this selling price, the consumers who firstly pre-order will get Honor Band for free and a Free Gift Box Set worth 400 thousand rupiah. While for the selling price of the Xiaomi Redmi Note 6 Pro isn't known yet in the market. 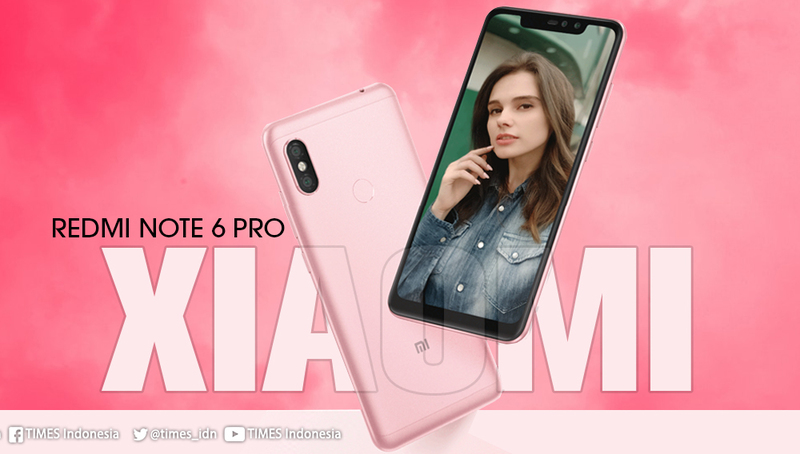 However, we can be sure that the Redmi Note 6 Pro will be sold at a selling price of fewer than 4 million rupiah. For its specifications, the Honor 8X is a jumbo screen smartphone that has been equipped with a Kirin 710 chipset with 4GB of RAM and 128GB of internal memory. More value from this device is support for embedded GPU Turbo to provide users conveniences who like to play games.